This plant likes sun and water during the warm months. Keep it dry in winter. It makes lots of pups. This...species?...variety?...looks similar to others. 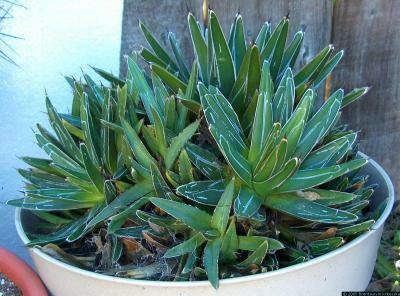 Agave victoria-reginae makes a very compact bundle of relatively short leaves.